The current political wrangling in Lagos State over who occupies the office of governor for the next four years is not entirely about Governor Akinwunmi Ambode. The issue is also not about Ambode’s relationship with his benefactor and demi-god of Lagos politics, Asiwaju Bola Tinubu. 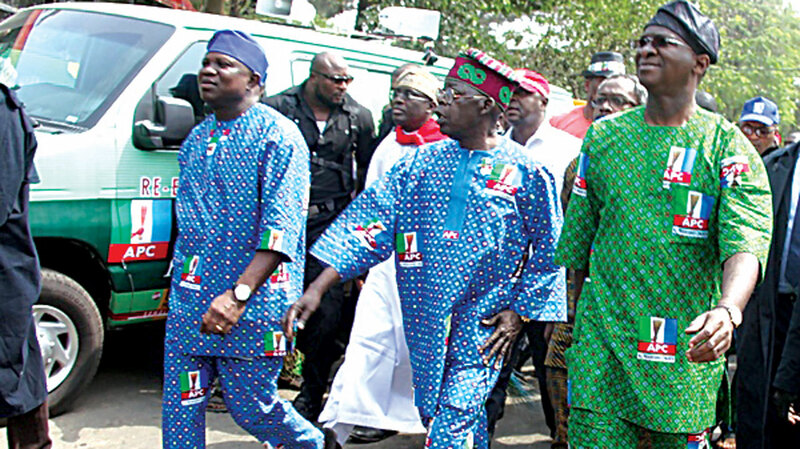 It appears to be all about Tinubu’s political progression and relevance in Lagos, Southwest and the wider Nigeria. Within the past 20 years, the Jagaban has remained a recurring decimal in Lagos politics to the extent that his influence was felt around the federal seat of power on more than two occasions. Part of the public goodwill that helped his ascendancy was garnered around 2002 when he survived the garrison onslaught of the Peoples Democratic Party (PDP), led by former President Olusegun Obasanjo. 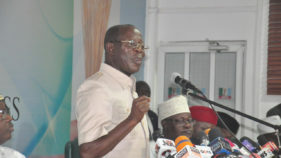 Although former Vice President Atiku Abubakar told Lagos PDP stakeholders recently that he spared Tinubu in 2003 due to the mutual political interest they enjoyed right from the Social Democratic Party (SDP) days, there is no doubt that being the lone Alliance for Democracy (AD) governor serving a second term actually propelled Tinubu to the political height he attained. Further to that, the then President Obasanjo’s decision to withhold monies accruable to Lagos State from the federation account attracted much public sympathy to the governor. Consequently, the entire Southwest sort of beheld the Asiwaju, as the apple of their eyes and stood firm to confront the excesses of the octopus federal authorities. While he sailed on beneficial public goodwill, Tinubu tactically diffused the potent force which the Yoruba socio-cultural grouping, Afenifere, wielded in the region as both the conscience and political barometer of the Yoruba nation. HAVING distanced Afenifere from cohesive challenge of his political decisions through the division within the fold, which gave rise to the Yoruba Council of Elders (YCE) and Afenifere Renewal Group (ARG), Jagaban succeeded in implanting his preferred candidate as his successor. As it turned out, the emergence of Tinubu’s former Chief of Staff, Mr. Babatunde Raji Fashola, as the governor of Lagos in 2007, set the enabling platform for Asiwaju to activate his famed political foresight to contemplate the possibility of enlarging his coast. While enjoying the uncommon synergy of being political leader and appropriating the governance successes by his successor, Tinubu helped to engineer a return of Ekiti and Osun States to the fold of the opposition. 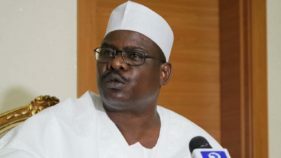 The upgrade and change in nomenclature of AD to Action Congress of Nigeria (ACN) brought about a new perspective to the opposition platform, especially the fielding of a high-profile presidential candidate in the person of Atiku, who had just served out eight years in office as vice president. Within the period spanning May 29, 2007 to 2010, Fashola as governor brought about a new Lagos clean in outlook, sane in social harmony and efficient in governance systems. While he brought finesse to governance and delivered on his mandate, Governor Fashola ceded political calculations and decisions to the godfather that Tinubu became. The perceived political understanding between father and political godson in Lagos was raised as an example of what a subsisting healthy relationship between state governors and their predecessors should be. Across the country, the Tinubu-Fashola mix was touted as the best thing that ever happened to Nigeria’s fourth republic. The political division of responsibility in Lagos between the two leaders helped in raising public goodwill, which redounded in the astronomic increase in the state’s internally generated revenue. Lagos became an example of where things work, even as Fashola transmuted to a poster-child of functional democracy. Despite the encomiums showered on the two Lagos’ politicians, something untoward happened as the buildup to the 2011 general election began. Perhaps unknown to Fashola, his towering performance and leadership style, particularly thoroughness with fiscal matters, did not sit well with his godfather. Some eerie behind the scene complaints and damaging tales were being weaved against the governor, all in a bid to cripple the administration. Before long it became obvious that the campaigns of calumny were orchestrated by forces loyal to the godfather. The devious machinations came to light when a certain political action committee known as ‘True Face of Lagos’ stormed the Lagos State House of Assembly, clutching a litany of alleged financial irregularities against the governor. The group’s allegations stirred confusion in the system, particularly within the party. While the dust raised by the ‘can of worms’ opened by the True Face of Lagos refused to settle, it did not take long before words started making the rounds in Lagos that Asiwaju had started shopping for Fashola’s replacement, particularly a candidate to fly ACN’s flag. The heat generated by the attempt to stop Fashola gained national currency such that most political parties and apolitical individuals, including the Nobel Laureate, Wole Soyinka, intervened on the governor’s behalf assuring him of support on whatever platform he contests. Fashola’s case was different in that after three years in office, most people said he had performed above average across many sectors, including security, environmental sanitation, education, health and the judiciary. WHAT is playing out in the pre-election year in Lagos has its roots in the past. It all started in the 1990s during the Ibrahim Babangida transition to civil rule programme, when two parties – Social Democratic Party (SDP) and National Republican Congress (NRC) were decreed into existence. Tinubu, who was then an employee of Mobil, had begun to show active involvement in the politics of the state and found himself within the fold of SDP. And within Lagos’ SDP were two major political leanings, including the camp led by a former governor, Lateef Jakande and the other styled as PRIMROSE (People Resolved Irrevocably to Maximise the Resources of the State for Excellence). It happened that the Jakande group paraded what could be called the old Awoists, most of who were with Chief Obafemi Awolowo in the Unity Party of Nigeria (UPN). But the PRIMROSE group, with which Tinubu identified, was led by a business tycoon, Chief Dapo Sarumi, and they were not only radically opposed to the Awoist style, but also paraded young men with means and talent. While PRIMROSE insisted on what could be called open primaries, the old Awoists (ASE group) preferred the caucus style endorsement of candidates based on understanding of the political ideology and manifesto of the party. 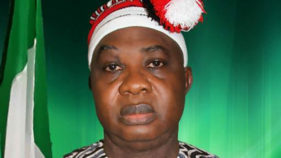 The internal conflict between the two groups culminated in SDP losing the 1991 gubernatorial election to less-fancied Sir Michael Otedola of NRC. It is because of this fear of history repeating itself that a lot of observers have expressed dismay at the current infighting in the fold of All Progressive Congress (APC) and moves to deny Ambode a second term ticket of the party. DESPITE the costly mistake of 1991, in 1998 when the country returned to democracy, the Alliance for Democracy (AD), prompted by the Afenifere group, gifted Tinubu with the party’s gubernatorial ticket after he lost the AD governorship primary to the late Engineer Funsho Williams. Afenifere’s leaders had reasoned that given Tinubu’s contributions to the fight for the recovery of Chief MKO Abiola’s mandate, it was necessary to reward him with the AD ticket, as a way of fostering further understanding within the Yoruba nation. But after mounting the saddle as governor of Lagos State, Jagaban gradually dismantled Afenifere and set himself up as the sole dispenser of political benevolence. He also adopted the very caucus endorsement style he enjoined PRIMROSE to repudiate. Somehow, as political godfather, the national leader has continued to make things a bit hard for the beneficiaries of his political generosity. Fashola did not have it easy getting a second term ticket and currently Ambode is having the political battle of his life. In a manner reminiscent of the Fashola episode and in the attempt to stop Ambode, his Joint Admission and Matriculation Board Examination form was mined and circulated to expose his Ondo ancestry. Ambode’s supporters have fought back claiming that Tinubu’s roots could also be traced to Osun State just as Osun State governor, Rauf Aregbesola is said to be from Igbira in Kogi State, while his father settled at Ilesha as a farmer and married from there. Will there be a replay of the SDP experience by APC? There is the likelihood that the current political battle is not one the ruling party would emerge from unscathed because of many reasons. The Presidency, which is seeking a second term mandate, seems to be siding with the incumbent governor while it holds the godfather in suspicion of working for his 2023 presidential ambition and not necessarily working for the victor of APC in next year’s poll. It is said that history repeats itself, first of all, as a fallacy. Given its strategic position, should Lagos re-enact its SDP versus NRC experience in 1991, it would be catastrophic for APC, both in Southwest and the entire country.